Holy Baptism is especially appropriate at the Easter Vigil, on the Day of Pentecost, on All Saints’ Day or the Sunday after All Saints’ Day, and on the Feast of the Baptism of our Lord (the First Sunday after the Epiphany) (The Book of Common Prayer, p.312). However, if you wish to choose another day, please contact our rector, Fr. Jerry. Baptism is membership in the Body of Christ, the Church. All baptized persons are invited to receive communion and participate fully in the life of the Church. 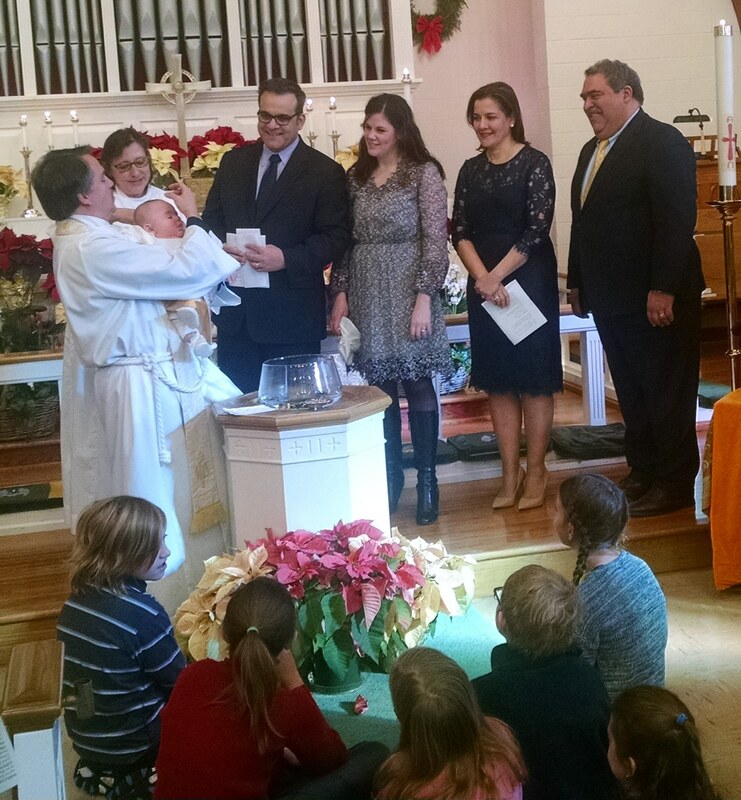 At Holy Spirit Verona, all baptisms are public services of worship. It is the way we welcome new Christians into our family and a great reason to gather to celebrate the life of our church and the life of Christ! There are no private baptisms celebrated, unless it is an emergency situation. All baptisms require preparation. For adults, this means meeting with Fr. Jerry or another designated person for an inquiry into the faith of the Church and the person’s faith. For children and infants, this means the parents and godparents meeting with our priest or other designated person for an inquiry into the faith of the Church and the rearing of the child in this faith.